With a high level of versatility at a low-cost, post and panel signs are gaining popularity for many different business types for attracting both new and current customers. Your organization will get the attention they need with promotional panel signs, like those produced by Capstone Signs & Graphics. As local post and panel signs experts, our goal is to provide custom signage products that meet the promotional needs of your business. 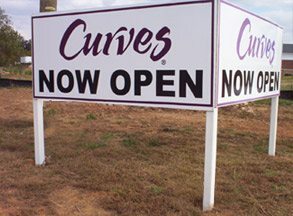 Our custom signs are all unique to you and crafted consistent with your desired materials, shape, and size. This ensures that your post and panel signs do their job of capturing the attention of passersby and building brand visibility. Providing complete post and panel sign systems, we also provide sign repair and replacement for existing panels. When you are looking for a reliable signage partner, Capstone Signs & Graphics is your go-to local signage provider. Custom wayfinding signs assist visitors who are unfamiliar with your facility by literally pointing them in the right direction. Post and panel signs are a perfect solution for supporting navigation for many company types. Built for visibility, post and panel signs have become one of the most popular signage options for assisting customers and guests with facility navigation. 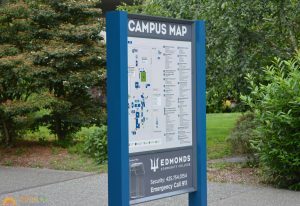 As your local signage specialists, we already know the fundamentals of wayfinding signage design. We focus on utilizing your unique branding elements and dynamic shapes and sizes to deliver efficient wayfinding and directional signs and graphics. We point new customers right in your direction. Reassure visitors and new customers that they have located the right spot. More affordable than a marble monument sign but providing the same impact, post and panel signs are an excellent choice for site identifiers. With many options regarding their shape, style, size, and placement, post and panel signs entice new customers and complement your branding concurrently. Capstone Signs & Graphics delivers attractive, branded signs and graphics to help you achieve your visibility goals for your brand and business. We have a vast selection of options for your post and panel signage, such as sandblasted or carved wood signs, lighted sign panels, aluminum, and curved metal panels, PVC, and many other options. Capstone Signs & Graphics also knows that architectural signs are most frequently long-term elements, which is why we focus on using signage materials that are both functional and durable, making our services the perfect choice for your outdoor business sign needs. 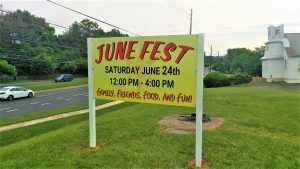 Looking for a temporary outdoor signage solution? Post and panel signs could be the right option for your unique needs. Capstone Signs & Graphics offers several cost-effective solutions such as PVC signage with custom vinyl graphics and lettering. PVC sign panels are less expensive than metal sign panels, but they do the job and can withstand exposure to harsh weather significantly better than standard wood post signs. Post and panel signs are frequently used for business identification signs, real estate, construction sites, promotional purposes, and other locations where signs and graphics are regularly changed, updated, or replaced. We develop the proper sign and graphics solutions for your unique business goals. We customize our solutions according to your desired budget, timeframe, needs, and location. The experts at Capstone Signs & Graphics, are here to guide you through the entire undertaking. From conceptualization to design, production, placement, and expert sign installation, we are the right sign company partner for you. When you need signage that is done properly and delivered on time, take a look at Capstone Signs & Graphics. 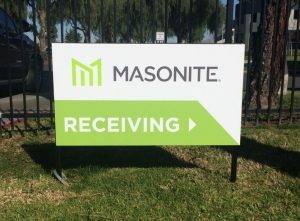 Draw attention to your brand with impactful, long-lasting sign elements like unique post and panel signs by Capstone Signs & Graphics! Handling every component of your signs and graphics project, we supply brand focused and promotional sign and graphics products that reinforce your organizational goals. 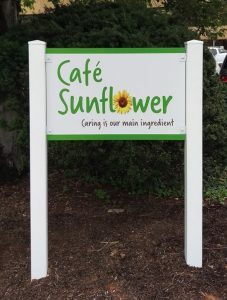 Call Capstone Signs & Graphics today at (678) 433-9878 for your Free Consultation with a Post and Panel Signs Expert!